Ahh. Lunchtime in the company kitchen presents so many opportunities to engage in meaningful conversation about the weather, sports, family encounters or, on those very special occasions, the rantings of the “Not So Politically Correct” mouth piece. To transcribe his ranting would be easy, but the emotion would be lost in the text. So, with marker in hand, “Rant Scribing” began. 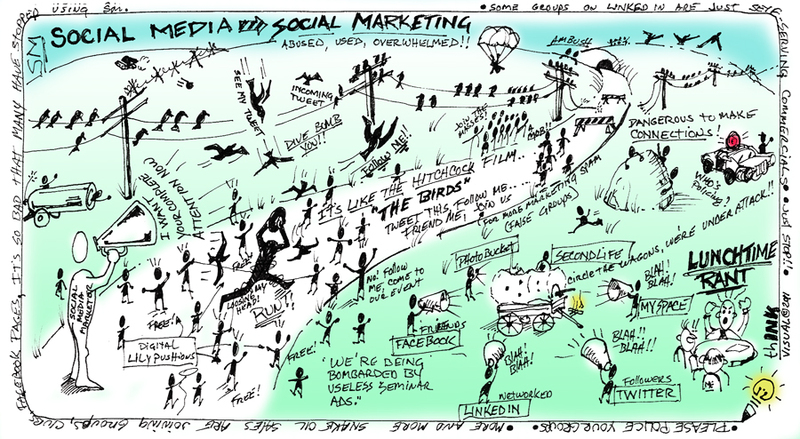 Here is a humorous look at one man’s views on social media (SM).